This maybe useful for Melbourne Palm growers. are there any good nurseries in the Melbourne area? I find this link very useful also Moses, I think this approach to categorising hardiness is the way to go rather thank the USA hardiness zone style. much appreciated and very useful! Probably the most successful palms in my Beaumaris ( Melbourne Bayside) garden were Howeas. These are imo the best looking palm you can grow well in Melbourne. They do look better with some protection, as they turn somewhat of a khaki color when exposed to full sun. However they dont flower until they see full sun. The trouble is, they need supplementary watering during drought periods, so enthusiastic gardeners can grow magnificent specimens, but often when a property changes hands the new owners just do not know how to care for them. I used to dig them out of gardens that were being demolished. Some had up to 2 metres of trunk. They transplant easily , but may take some years to overcome transplant shock. Other palms that grow well include Archontophoenix, in damp spots. Butia, Rhopalostylis , Chambeyronia, most species of Rhapis except excelsa, humilis being the best one for melbourne and is a brilliant screening plant. Ravanea glauca is very good, but the prize palm in my collection was Brahea armata , which is perfect for the really hot summer conditions , but grows very fast when soil moisture is plentiful. Many types of Chamaedorea grow in Melbourne , except they need warmth and filtered sun . Chamaedorea metallica, ernesti augustii woodsoniana, radicalis, tepijilote, they all grow well. 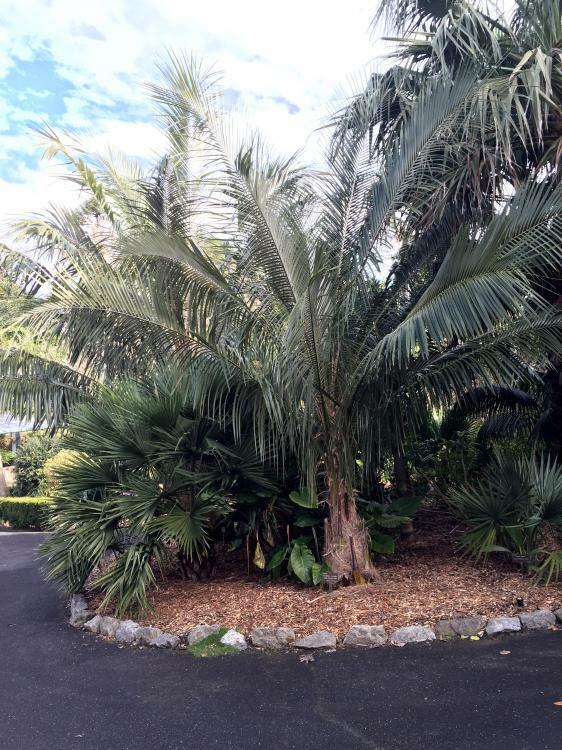 All the palms had some degree of dicot cover. This meant they were a little slow, but suffered much less burn during summer sun and winter frost. 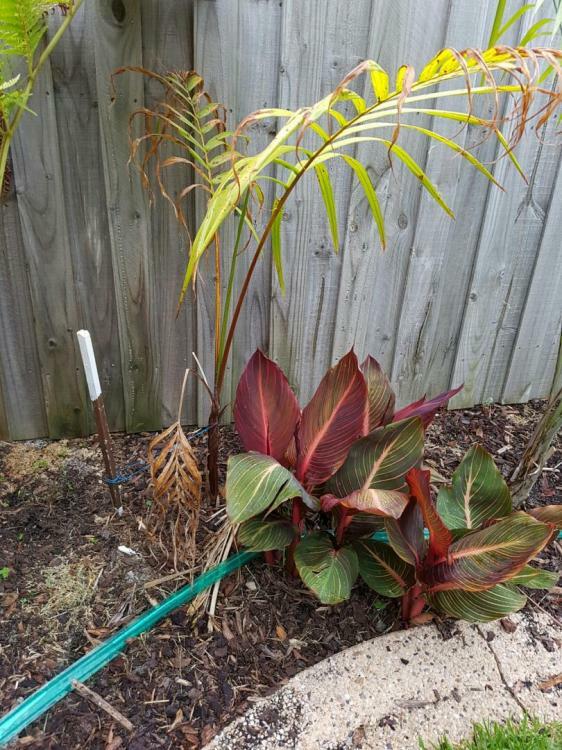 The new owners of my garden chopped half the palms out and put down coloured wood chips in their place. The neighbours said the new owners ruined the garden. Then he sold the house after 12 months because he lost his job. If you create a tropical jungle, just be aware that many people believe this is "overplanting" , what they didnt realise before they chopped out the palms was the house had many large windows and no curtains, but the vegetation around the fence was the shelter and the curtain. Tim Brissy touched on the problem. Most of the survivability data originated in Florida, where it varies from tropical to subtropical, and every now and then they get a transient "freeze", but it warms up during the day to above 20C. 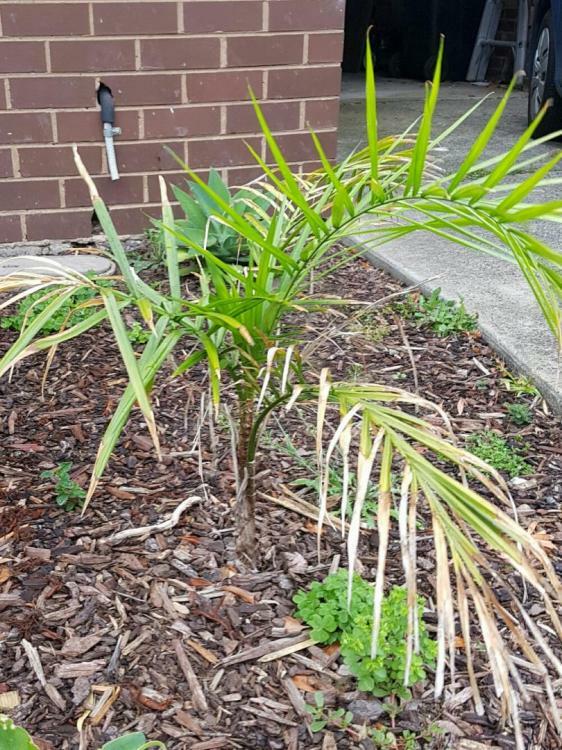 Its Melbournes sustained dull drizzly conditions from May to September that just stop palms from growing other than about 6 months of the year. 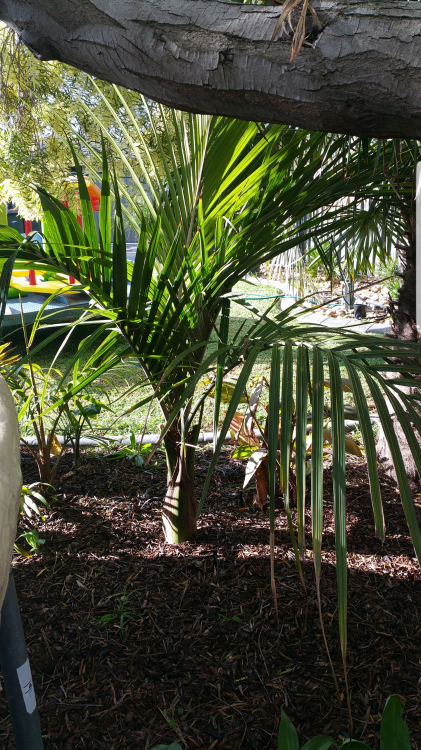 If the palms are not sheltered enough from strong dry winds they will lose too many leaves each year to provide the growth engine they need to prosper. The trick is to balance the shelter, warmth and select the best microclimate in your garden for the most tropical species. because I planted out the whole perimeter with clumping Bamboo which has done the trick..
providing protection from those 2 winds. Correcting a typo: the nursery in Lara is Roraima not Romania. They may also have Nikau John, but I didn't see them when I was there last. Pal Place is your best bet for a variety of palm species at the moment. Nice specimen! How old? Did you grow from seeds? What variety? Ok it's simple.....as I know quite a bit about Bamboo...not so much about palms! take those seeds you've got and throw them in the bin...or plant them in a pot...not in the ground! Oh ha ha ha! Yes a nursery not the country! Hey Moses, do you find the bambusa spp. dry out the soil too much? It's the main reason they went out of favour in NZ for shelterbelts. I planted oldhamii for a while, but nothing much seems to grow around it unless you really water and feed everything intensely. Interesting talking to a citrus grower once, he had very obvious crop limitations from his fruit trees near his pruned oldhamii hedge. On another boundary he had pruned evergreen alnus spp (probably jorullensis? maybe nitida or cremastogyne?). The N-fixation from these trees was so impressive that the first couple rows in from the hedge was the highest producing part of the orchard. Although these trees needed hard pruning annually he said the maintainance was less than with the oldhamii hedge. Where are you these days, Mr King? Love to catch up with you. 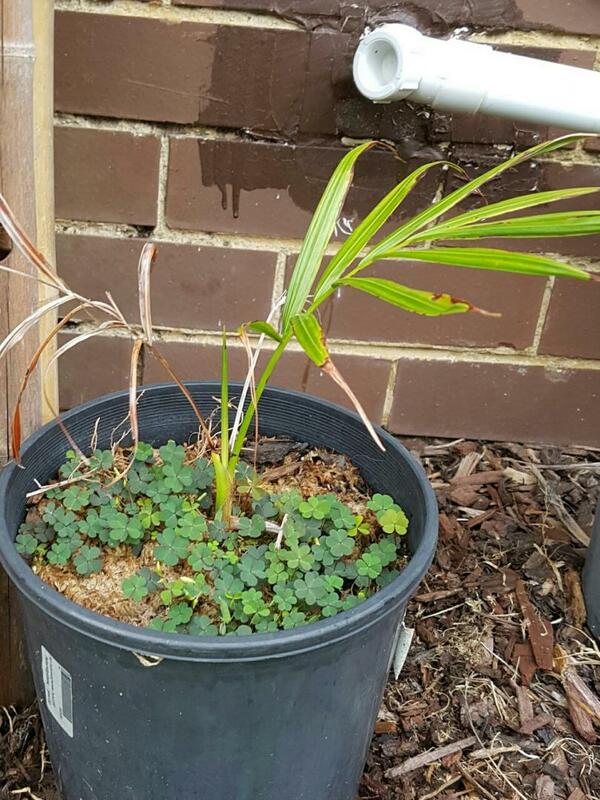 PS do you remember giving me a seedling P cocoides about 10 years ago for the Geelong Botanic Gardens? Look at your little baby now! it is as happy as bro! Nice Palm there Ms Australis! I got a Cuban Royal Palm Roystonea violacea as apparently this one goes purple as it get’s older…. Ah Jo. Alas we sold our house and all the palms in it. But what palm freak can live without a container ranch ! I am at the point of deciding whether to break loose and retire to Cairns or stay in good old Melbourne, so predictable in its unpredictability. I wonder how is your special Brahea ssp Tycho. Has he settled down. He must be 18 years old now ? 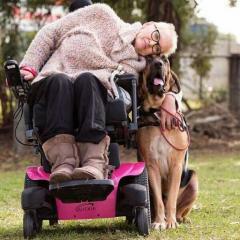 That is so good to see the Geelong Parajub. OMG those parajubs are such difficult seeds. 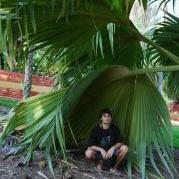 You may be interested to know that various of the Braheas I grew have inspired people to appreciate palms . 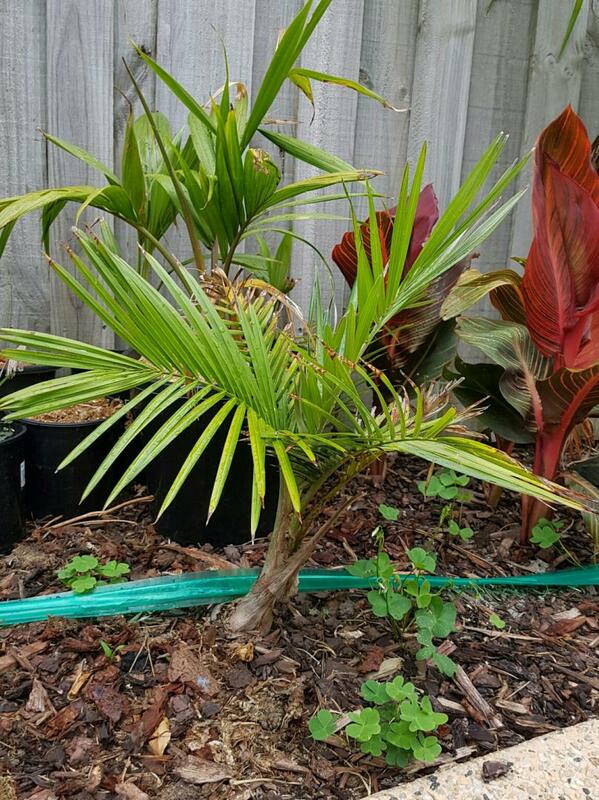 Brahea edulis looks so handsome as a young palm, I have several growing at my factory and some growing in neighbours yards. We must catch up and talk old times, and if you are still in possession of your great palm garden , I would love to come and see how it has grown and catch up on news about local palm identities in the process. 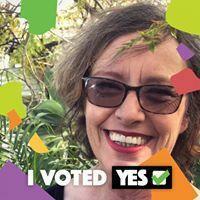 There is a big Bismarckia in the botanic gardens and also some huge golden canes in Ripponlea. Miccles always said that Alex's grew better than Bangalows for him down there. Check out Jim in los altos, his garden is in a slightly cooler climate than Melbourne's and it is amazing what he can grow there. Yeah jims garden is awsome its amazing what will grow in the right microclimates, i cant keep a oraniopsis alive to save myself they dont like my place!!! I used to work in North Shore, just remembered the postcode......should be milder there than the inland parts, but of course it can still get bloody cold. I remember having to hose the ice off the car some mornings when I lived in Torquay, only a few metres from the beach. BTW I have never been able to find an oraniopsis, let alone kill one. Ceroxylon parvum - in full sun and stays perfectly dark green all year round. Accelerating now that it is in the ground. Tim, what kind of summer temps do you see down there? Hyophorbe indica - didn't enjoy the winter but growing back strongly now. Ben - summer is quite inconsistent. We've gone over a week with a heatwave with nighttime temps staying above 20C (68F) and days between 27-38C (81-100F). Today is only predicted to get to 19C (66F) maximum. It can get over 40C (105F) a few times each summer and those days are always really dry with low humidity. Cyphophoenix elegans - slowly returning to its former glory after a tough couple of years during to a transplant. Interesting, surprised the Ceroxylon can take that much heat in full sun. Our summer weather is probably more consistent - 85 degrees F plus - but always cooling down to the low 60s overnight. I have quite a few Ceroxylon in pots I am growing out for when I have more canopy/shade. 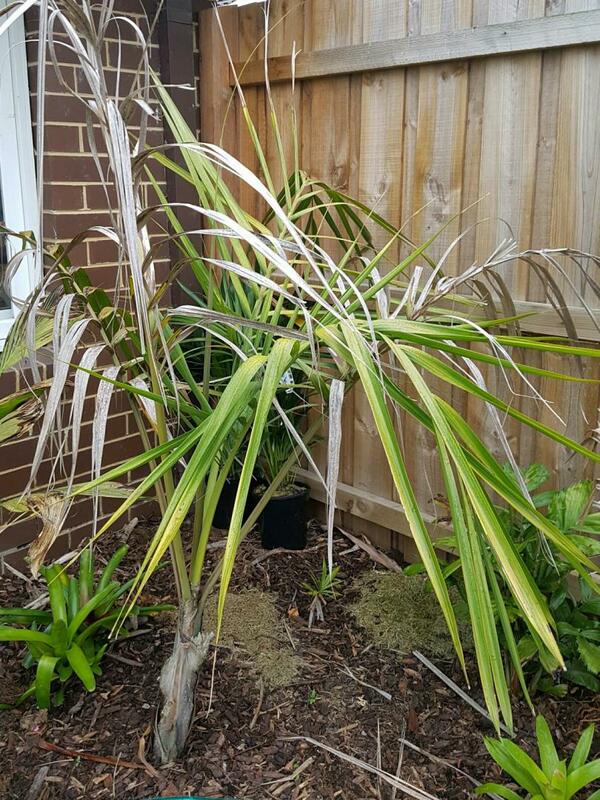 Dypsis cabadae x madagascariensis - coming back from the dead after being dug up from the old garden. It actually grew throughout winter in the pot and has now taken off with the warmer weather (look closely and you can see the spear marked - this was on Xmas eve so 8 days growth). I'm surprised too - there's a Ceroxylon ventricosum only a metre from the C parvum that got fried last summer so I've given it protection this summer. Syagrus sancona - proving to be a strong grower now that it is in the ground.